Former Grace Brethren pastor, Dave Kennedy, has joined the staff of WAY-FM as its first-ever Prayer and Outreach Pastor. With a goal to better serve the prayer requests and spiritual needs from listeners that the station receives from all over the nation, Dave began as the Prayer and Outreach Pastor, effective January 3. 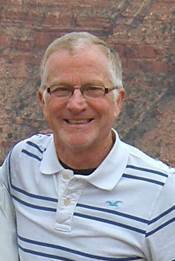 Dave served for 30 years as senior pastor at various churches, most recently at Community of Grace Church, a Grace Brethren congregation in Richmond, Va. He, and his wife, Nancy, relocated to Colorado Springs, Col., to be closer to family and now to be part of WAY-FM. He will be responsible for leading the WAY-FM prayer and spiritual care initiative. Additionally, all WAY-FM staff will join him in this important behind-the-scenes ministry effort.